15 persons contesting the Loksabha polls for Belgaum Constituency. The final list was got after the end of withdrawal of nominations today. Next articleA ‘silver lining’ in the Indian Political tantrum ? 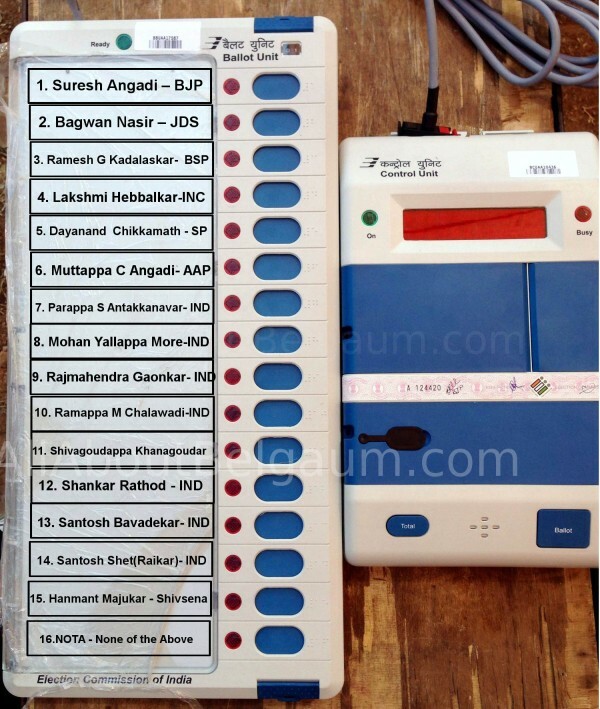 “NOTA” IS THE BEST OPTION FOR BELGAUM. BECAUSE, MOST OF US WANT CHANGE AT CENTRE BUT RE-ELECTING EXISTING CANDIDATE IN BELGAUM WILL HARDLY BRING ANY POSITIVE CHANGE/S IN BELGAUM. ….SORRY MODIJI… OUR FAMILY HAS DECIDED TO GO FOR NOTA OPTION. I haven’t Heard these Names except Suresh Angadi and Laksmi Hebbalkar. IT’S BETTER ENTIRE POPULATION OF BELGAUM SHOULD CONTEST???? ?